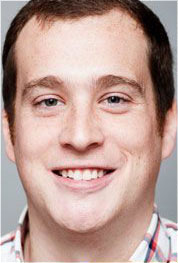 A scheduling conflict occurs when the number of recordings scheduled for a particular time exceeds the number of tuners capable of recording them. 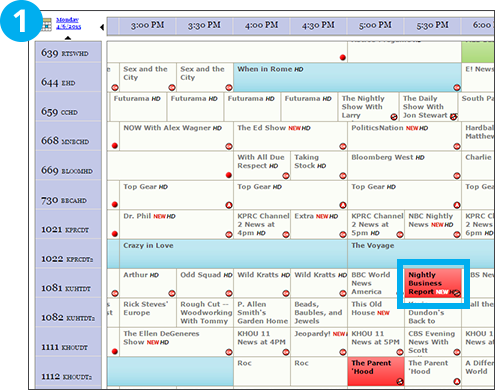 Conflicted recordings will be highlighted in red on the program guide. 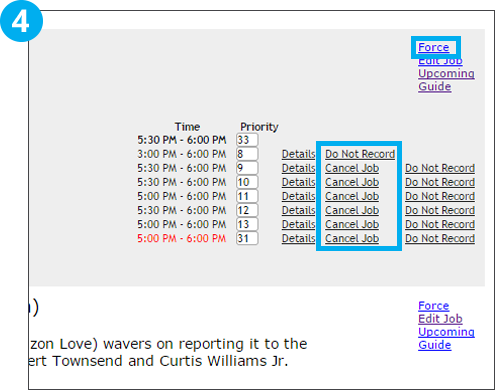 Click on the highlighted cell to bring up options for the recording job. 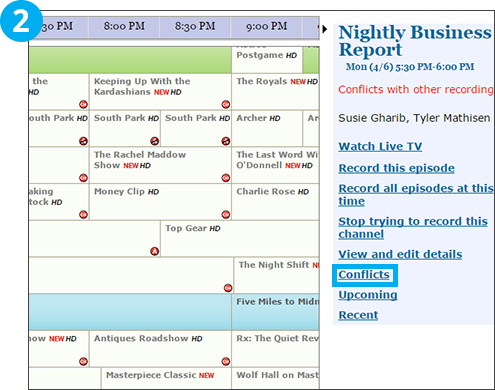 Click on "Conflicts" to show the conflicted recording management page. This page lists all of the recordings that are conflicted. 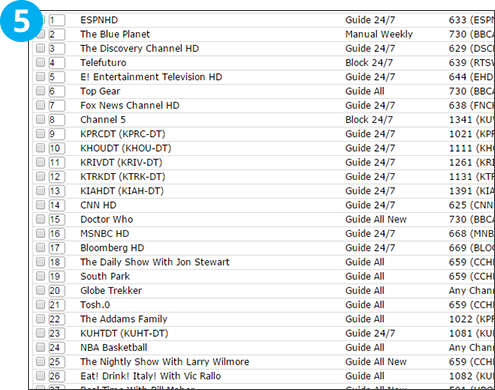 In each section, the recording being scheduled is listed along with any other recordings that are occuring at the same time. If you choose to "Force" the recording, SnapStream will move the conflicted recording to the top of your recording priority list for the single airing. Selecting "Do Not Record" will cancel the recording for that airing. Choosing "Cancel Job" will cancel the recording job. 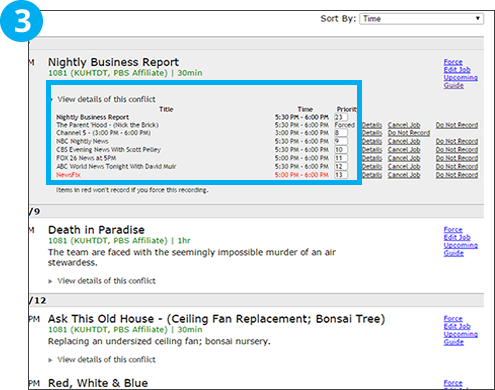 Your recording priority list can be found by choosing Recording Priority at the top of the page.